Joseph’s Rubies have been described as sultry and passionate. The deep yet vibrant red color of a ruby runs deep throughout the entire stone. From modern to vintage jewelry, rubies are widely used in the industry. If your looking for a stunning, everyday look, Rubies are for you! 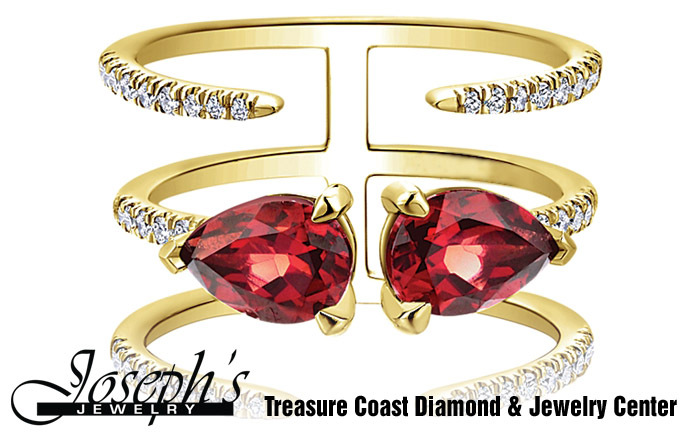 Joseph’s Jewelry is the premier location for Ruby on the Treasure Coast. From custom creations to designer favorites, we can take care of your every need. 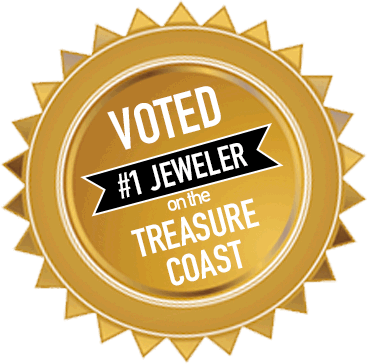 Check out our website for more information on Ruby, jewelry design, and repairs from the Number 1 voted jeweler on the treasure coast. “Blood-red. Fire-red. Color that burns along the veins, and gives brightness to the night. If you’re looking for the color of life itself, look no further than red. And the gemstone that brings red to vivid life can have only one name: Ruby. The “king of gems,” Ruby is one of the world’s oldest and most revered gemstones. It is also one of the rarest. The mineral Chromium is responsible for the gem’s startling color. Rubies with hardly any inclusions are so rare that large stones of good color fetch higher prices at auction than even diamonds. Fiery and romantic, showing brilliant depth and intensity, the red hue of Ruby is certain to draw attention. In settings that focus attention on voluptuous color, Ruby sends a message of drop-dead glamour and femininity.